See it if You are needing a night of laughs and silliness. Appreciate amazing wit and skillful ventriloquism. Love improvisation. Don't see it if You are not a fan of one person shows. Are afraid on monkey 🐵 puppets. 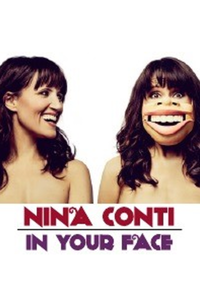 See it if you'd like a hilarious comedy show that also happens to involve a super-impressive skill, Nina's ventriloquism. Don't see it if you're nervous about audience participation, or think that ventriloquism is just a gimmick. See it if you like to laugh. NC is skillful, funny. Superior parts were scripted and Monkey "alone." Time moved swiftly, except for human puppets. Don't see it if you're impatient w/improv. Some was brilliant, but not all. The sum of the evening is fluff. Still NC is a force of nature. See it if you like a completely fresh take on stand up comedy & ventriloquism. Don't see it if you have thin skin, a massive ego and no sense of humor.